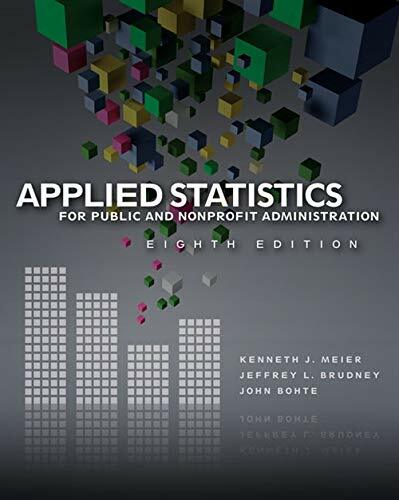 As the first book ever published for public administration statistics courses, APPLIED STATISTICS FOR PUBLIC AND NONPROFIT ADMINISTRATION makes a difficult subject accessible to students and practitioners of public administration who have little background in statistics or research methods. Steeped in experience and practice, this landmark text remains the first and best in research methods and statistics for students and practitioners in public--and nonprofit--administration. All statistical techniques used by public administration professionals are covered, and all examples in the text relate to public administration and the nonprofit sector. The text avoids jargon and formulae; instead, it uses a step-by-step approach that facilitates student learning.